Donald Trump’s victory in the US presidential election has prompted anguished reactions from around the globe. His inflammatory pronouncements show that he is utterly unsuitable for that office and beneath contempt. Lying, bullying, boasting about assaulting women – a full catalogue of his faults would surely fill this column. Moreover, Trump’s policy proposals have been so fantastical, fascistic, contradictory, or completely lacking in specifics that it would be foolish to predict how his presidency will unfold. This in itself plunges the world into deeper political uncertainty. 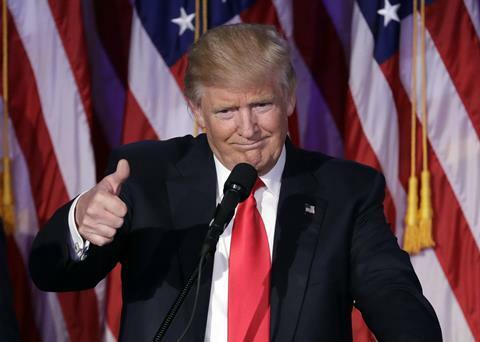 But on the much narrower question of what a Trump presidency will mean for science, we can look at his attitudes to international collaboration, the environment, the value of evidence and a host of other issues that directly affect research. And those signs are deeply worrying. US science has long thrived on a steady supply of the brightest and best minds coming from other countries. But Trump’s poisonous rhetoric – directed at Muslims, Mexicans, and others – demonstrates a xenophobia that will surely give foreign scientists pause for thought before they consider a move to the US. He has also expressed a strong anti-intellectual streak, readily dismissing evidence that does not suit his own worldview. This puts him strikingly at odds with a scientific culture that lauds critical thinking and rationality, and it will be more important than ever for scientists in the US to stand up for evidence-based approaches to policymaking. Trump has offered few specific details on federal research funding beyond broad platitudes. During the election campaign, he told ScienceDebate.org that ‘we must make the commitment to invest in science, engineering, healthcare and other areas that will make the lives of Americans better, safer and more prosperous’. The fear is that his administration will have a particular, blinkered view of what sort of research that entails. Take the US Environmental Protection Agency (EPA), which Trump has vowed to neuter just as it stands on the brink of enforcing stricter regulations following the reform of the Toxic Substances Control Act (TSCA) earlier this year. Trump, of course, has no truck with such interventions. Instead, he believes that ‘a vibrant, robust free market system will regulate the private sector’, an utter abrogation of the government’s responsibility to protect its citizens’ environment. Last year, President Barack Obama played an instrumental role in reaching a landmark climate deal that aims to limit global temperature rise to less than 2°C above pre-industrial levels. Trump, who has described climate change as a Chinese hoax, promised to renege on that agreement and boost domestic coal production. If that happens, it will be much harder for the world to tackle the threat of global warming. This attitude could also affect government funding agencies that support research on climate change, and on ways to mitigate its effects. Chemistry lies at the heart of many of these programmes: whether developing techniques to capture carbon dioxide, creating the batteries needed to store renewable electricity or performing the environmental monitoring needed to track the planet’s health. If the president-elect truly believes that climate change is a hoax, why would he advocate funding any of these efforts? As nascent industries, solar and wind power still benefit from government subsidies, but Trump has decried this government intervention. Instead, he once again invokes ‘a thriving market system’ that ‘will allow consumers to determine the best sources of energy for future consumption’. In other words, he will allow cheap fossil fuels to hold sway, no matter what the environmental consequences. Meanwhile, the US Supreme Court is reviewing Obama’s proposal, the Clean Power Plan, to limit emissions from America’s fossil fuel power plants. That court currently has a vacancy, and Trump is expected to select someone who would vote against the regulation. Some of Trump’s support has undoubtedly come from those disaffected with the consequences of globalisation and technological development. Although they have brought enormous benefits to the world as a whole, and to science in particular, some sections of society have been hurt by these trends – those in the US whose manufacturing jobs have relocated to developing countries, for example. While Trump has promised to rebalance the inequalities in American society, it feels naïve to hope that he means it. But if he does act, he should not rewind the country to some long-lost idyll fuelled by fossil fuels and environmental negligence. Instead, he should focus on stimulating jobs in the industries of tomorrow – renewable energy, electric vehicles, biomedicine and more. Yet Trump has also questioned the need for the US government to improve the science and technology education that would underpin these jobs, instead arguing that education should be driven by the whims of ‘market influences’. It’s a chilling concept for anyone familiar with Trump University, his now-defunct business that is subject to a class-action lawsuit for alleged fraud. Some seek solace in the mantra that Congress will circumscribe Trump’s power. Even though Republicans now have a majority in both the House of Representatives and the Senate, many of these politicians do not subscribe to Trumpism, and it’s possible they could moderate his more extreme urges. Or we might pin our hopes to the suggestion that he was simply lying when he talked about building a wall along the border with Mexico, or barring Muslims from entering the US. That this was just empty hyperbole, as some pundits say, designed to whip up his supporters. Perhaps that is so. But it is a sad and worrying state of affairs when our best-case scenario is that the next US president is merely a mendacious, opportunist demagogue.